Here at It’s Not About The Dog! We focus on creating a training environment that is educational, easy to understand and implement, and most importantly, fun for all dogs and K9 parents involved! “It’s Not About The Dog!” (Previously know as Ziggy’s TLC for a happy dog + healthy you) took its first steps as a company in Brisbane in 1999. 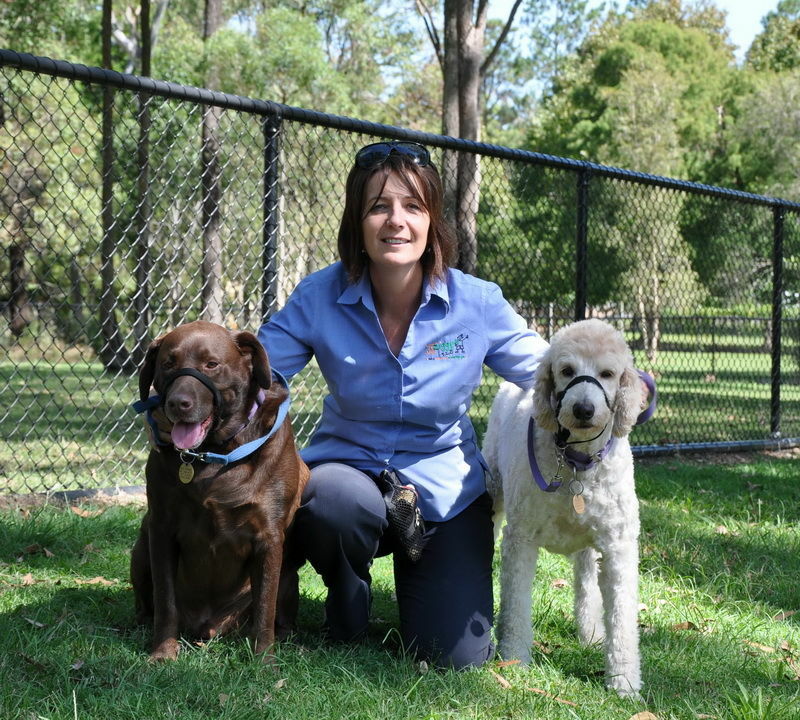 After almost two decades of hard work and perseverance, this small and close-knit business started making a name for itself as one of the leading dog training groups in all of Queensland. We believe in a different approach when it comes to training your beloved dogs. We get to the core of it all, focusing on developing a thorough understanding of behavior, communication and body language. The stronger this understanding, the stronger the connection between dog and parent! With these strong foundations, we are able to offer a diverse and innovative range of professional dog training programs. We specialize in puppy programs, K9 interactions and private tuition. Zigrid invites you to contact her personally, as she knows that each family’s needs are different, and no two dogs (or their owners) are the same. It is our sole mission to develop a training program that suits your specific needs, which is why we need to work together to craft the best one possible. Once this is set in stone, the real fun starts with the training itself, where we strive for incredible results for your K9 buddy. Dogs are extremely sensitive to the world around them, which is why it’s important that they receive training in an environment that is bursting with trust, respect and understanding. Think about every relationship you have in your life. All of them exist because they are built on the strong foundations of trust, communication and respect. If you can get that right, a long, happy and fulfilling life will follow suit! Zigrid will hold your hand through the whole process, guiding you and your K9 on your paths to understanding each other and forming an unbreakable bond. Once this is done, training will be a piece of cake! If someone does a good job, what does it make sense to do? Reward them, of course! This is no different when it comes to our furry friends. This is the basic idea of our training program, which was developed on the principles of Reward Based Scientific Proven Training. We embrace a method that has been scientifically proven to be the most positive and effective training method, while respecting the needs and wants of our K9 buddies. The thing is; Dogs DO speak…but only to those who listen. We pride ourselves on being able to understand their language, and it is our mission and vision to share our knowledge and understanding with you as K9 parents. We will do whatever it takes to make your dog happy, even if it means provide supplementary services such as Tellington T-Touch therapy, or Bach and bush flower remedies. Naturally, these services will be customized and tailored to suit the emotional individual needs of you and your dog.